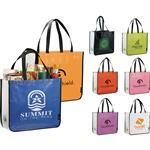 The Rumba Shopper Tote has a large open main compartment with double 24" reinforced handles. 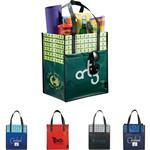 The bag is reusable and a great alternative to plastic or paper bags. 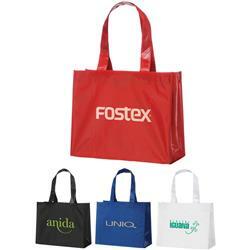 Customize this bag with your personal logo to make this bag promote your company or style. RUSH AVAILABLE. Production Times Available: 5 working days standard. FREE 24 HOUR RUSH for 2500 pieces or less. 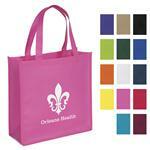 Inquire for larger quantities.